What are clouds made of? And how many different kinds of clouds are there? How can clouds be incorporated into everyday life? 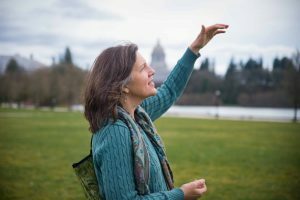 Local author Maria Mudd Ruth has spent almost a decade seeking to answer her cloud questions and integrate the beauty and wonder of clouds into her life. 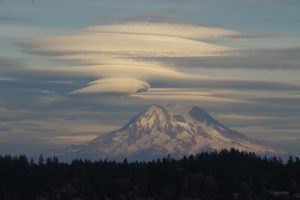 Part memoir and part explanation of the natural phenomena so common in the Pacific Northwest, Ruth’s fascination has culminated into her most recent book, A Sideways Look at Clouds. Ruth is prepared to share her story at a talk hosted by The Olympia Country & Golf Club as part of their monthly lecture series. 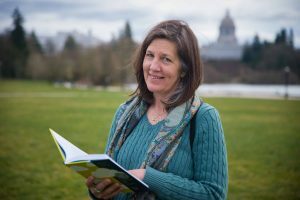 She plans to share personal anecdotes of exploring the natural world, as well as encouraging the audience to learn more about the nature that surrounds them. Prior to being an author, Ruth got her start at the then newly-formed publication, National Geographic Traveler as a fact-checker and researcher. Ruth first fell in love with the Pacific Northwest as she visited the area for potential magazine articles. 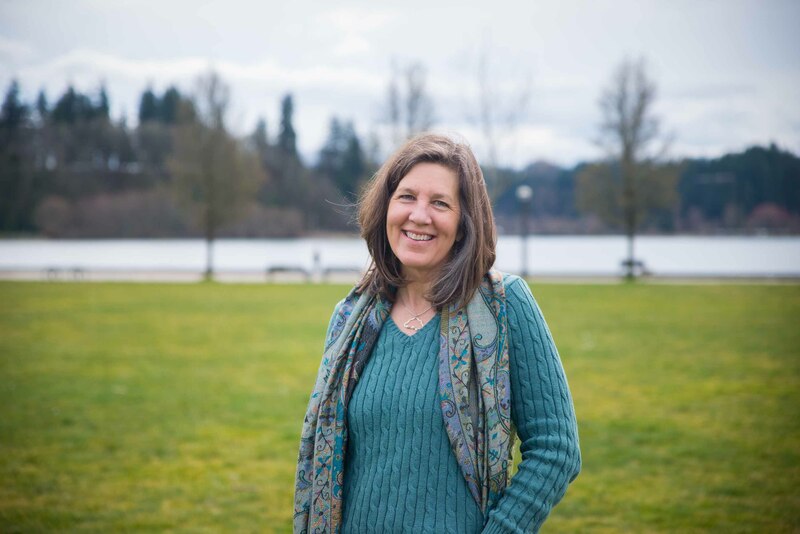 Always loving the natural world, Ruth’s interest in nature led to a book deal when friends from the National Geographic world left the company to open their own publishing firm. Ruth was recruited to write for the new startup, with her first project being a children’s book about butterflies. After several more animal books for children, Ruth transitioned to writing non-fiction for adults. Maria Mudd Ruth’s talk will take place at the Olympia Country & Golf Club at 5:30 p.m. on Thursday, April 18. To learn more about Maria Mudd Ruth’s talk, visit the Olympia Country and Golf Clubs Facebook event.